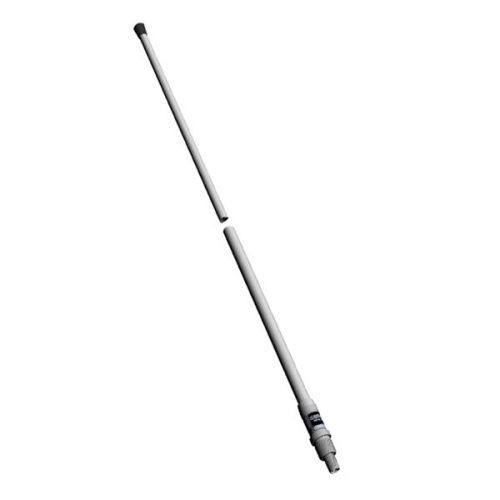 lightweight fibreglass omnidirectional sailboat antenna. 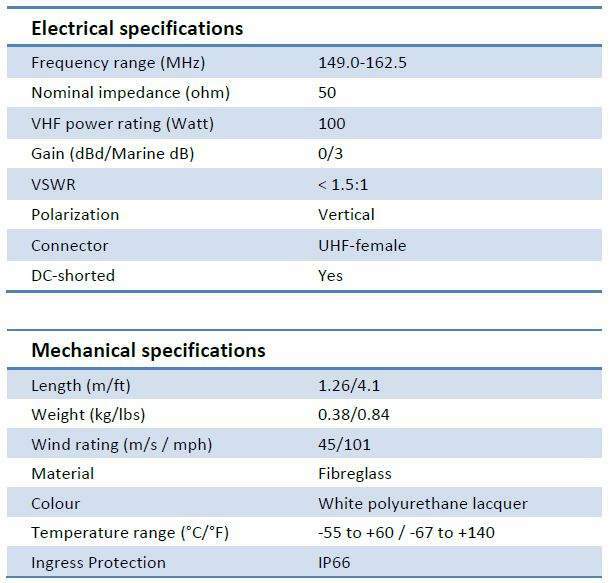 Manufactured in premium quality materials in order to prevent galvanic corrosion. 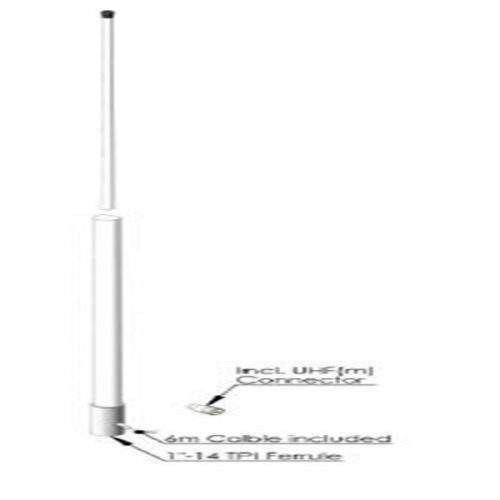 The antenna is suitable for rail or mast mounting. Has been sold worldwide through more than two decades. 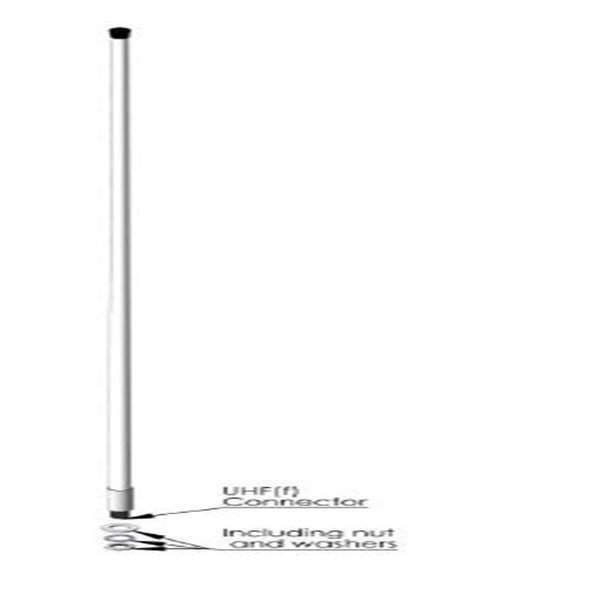 The antenna is subject for improvement at all times. 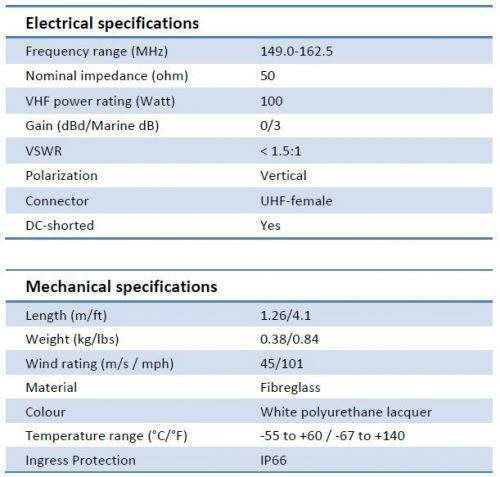 The antenna has the same rugged design as all other AC Antennas products thus it withstands harsh environmental conditions, both on sea and land. 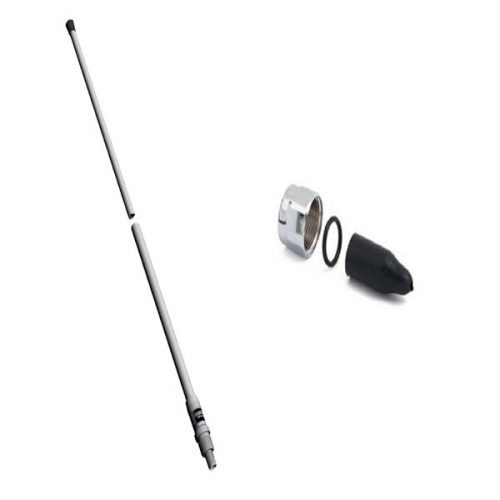 Used with N163F AC Antennas mount. 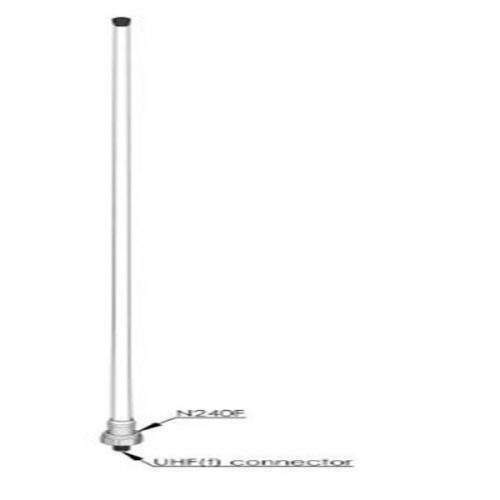 Equipped with 5/8”-24 TPI thread.